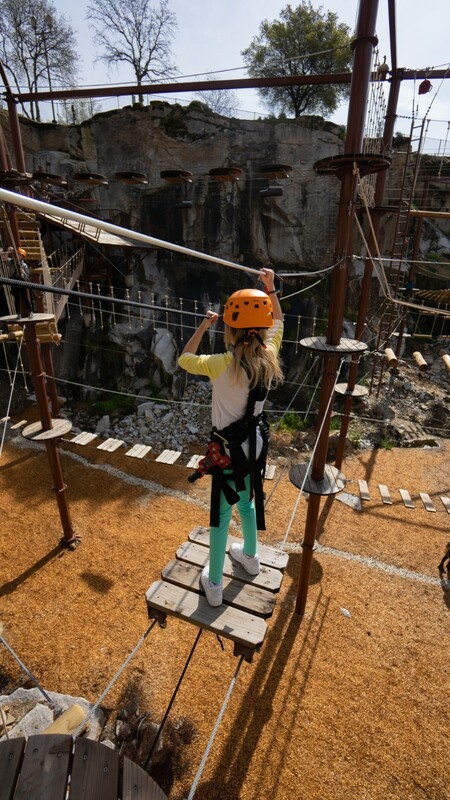 With three levels of challenge and play, you’ll have a blast (and maybe even work up a sweat) while conquering Pinnacle Pete’s Aerial Adventure. 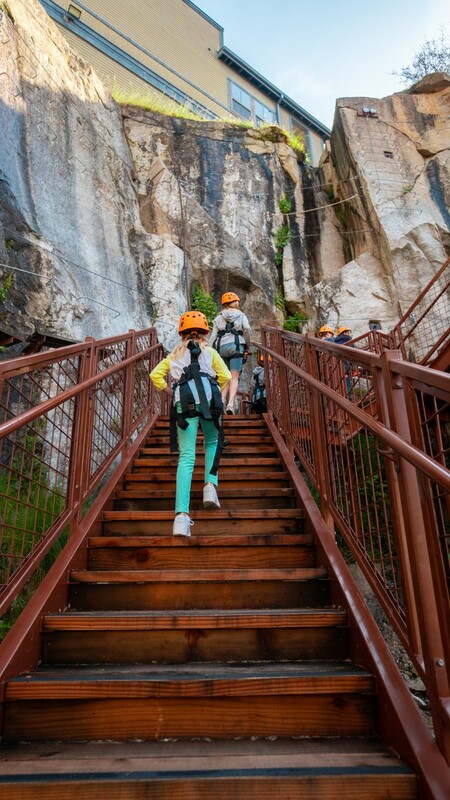 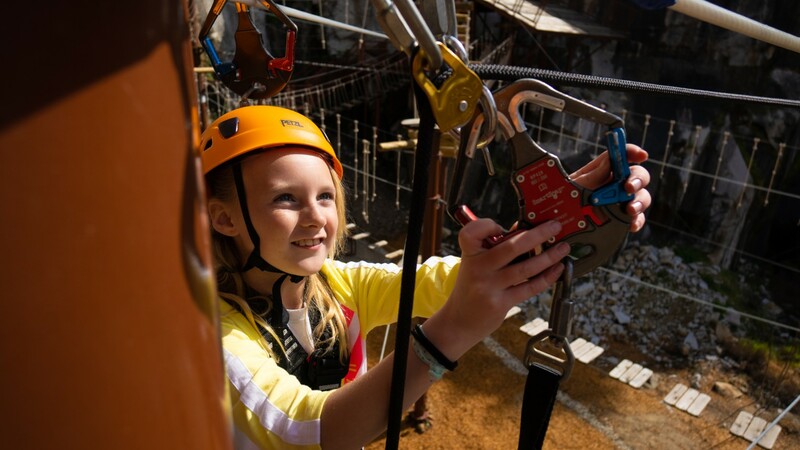 Gear up, then join Ground School to learn how to use your Smart Belay clipping system. 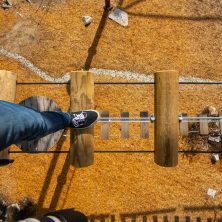 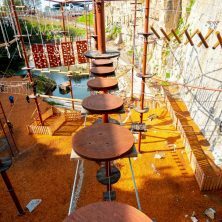 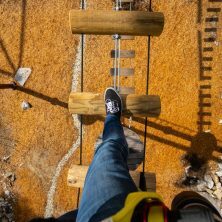 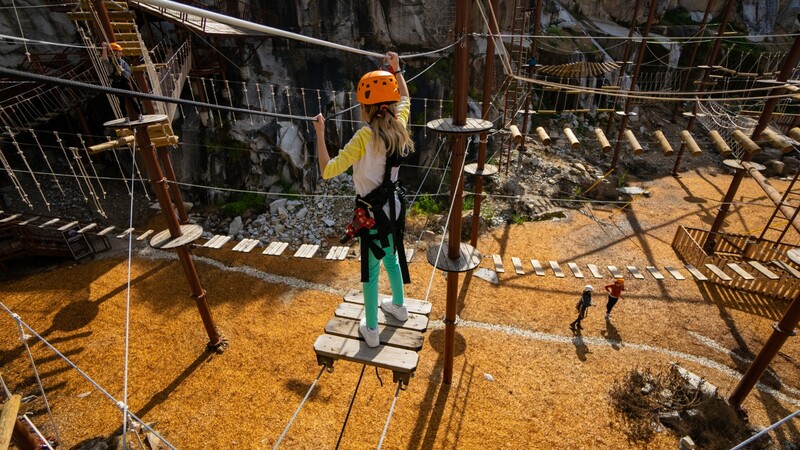 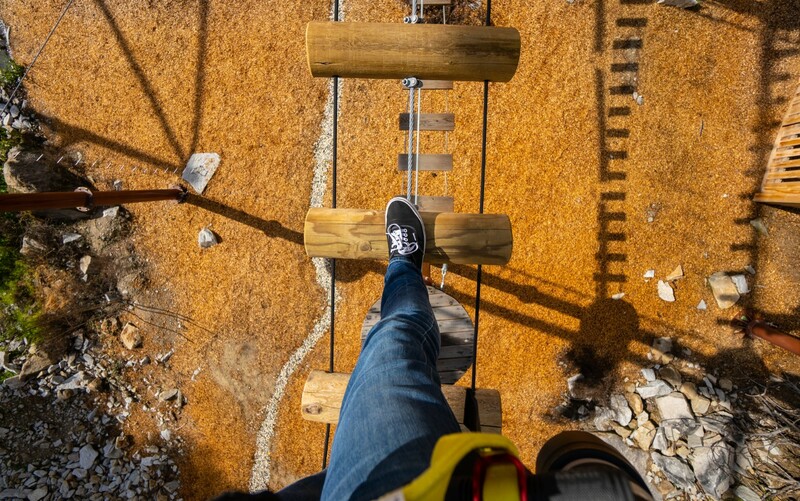 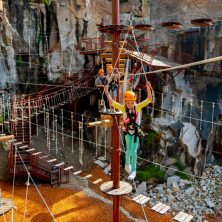 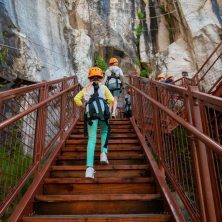 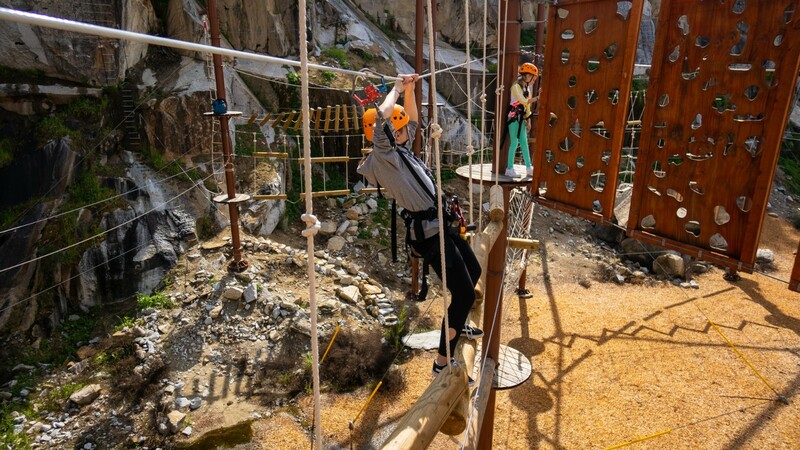 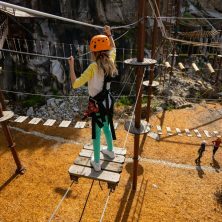 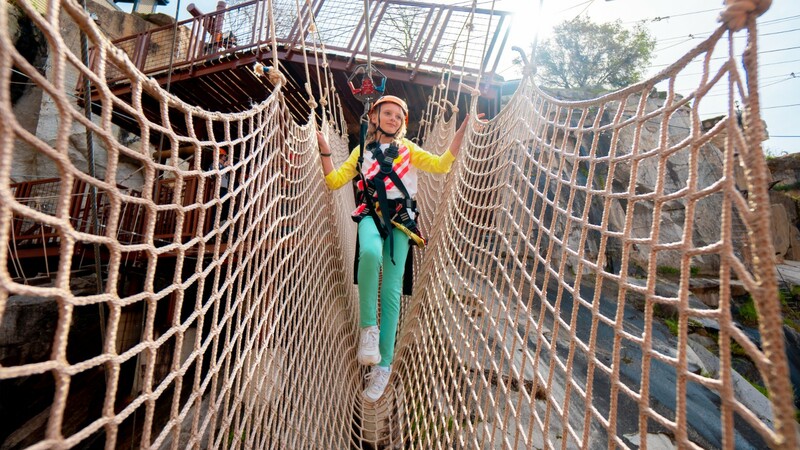 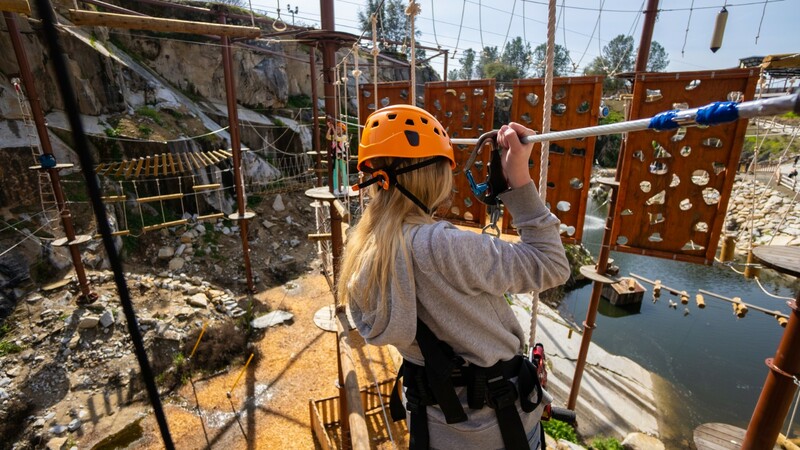 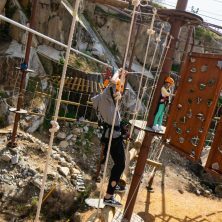 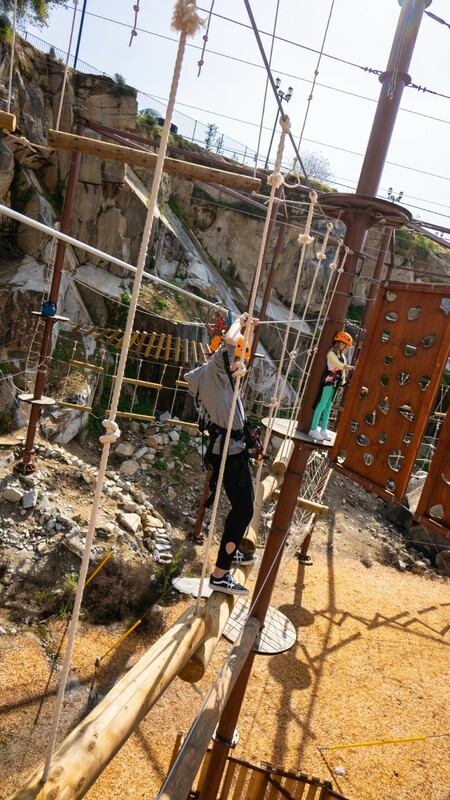 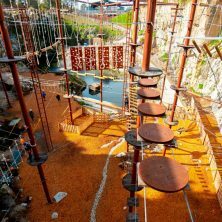 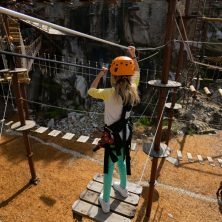 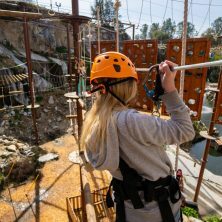 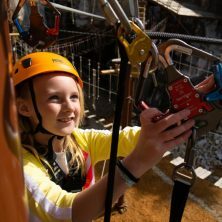 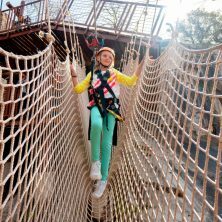 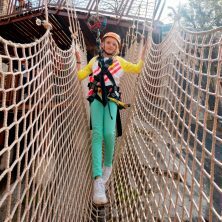 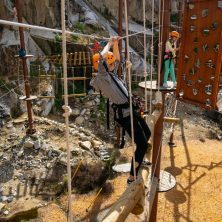 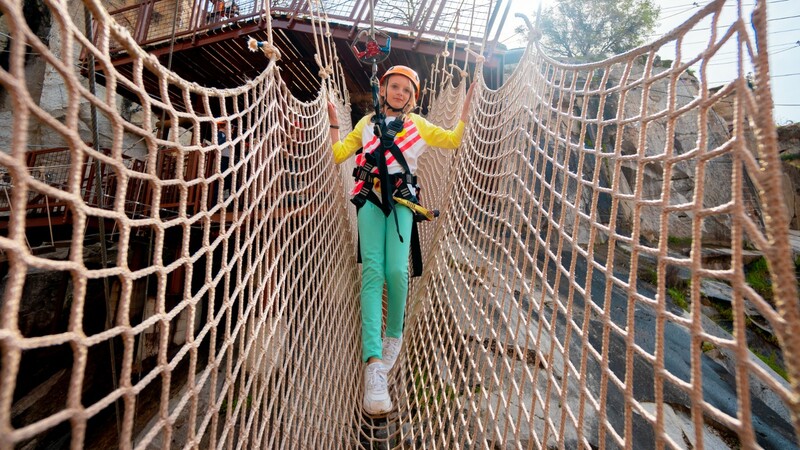 This state-of-the-art safety equipment will allow you to secure yourself to the aerial adventure park’s safety lines and move at your own pace as you work through a series of fun and challenging elements. 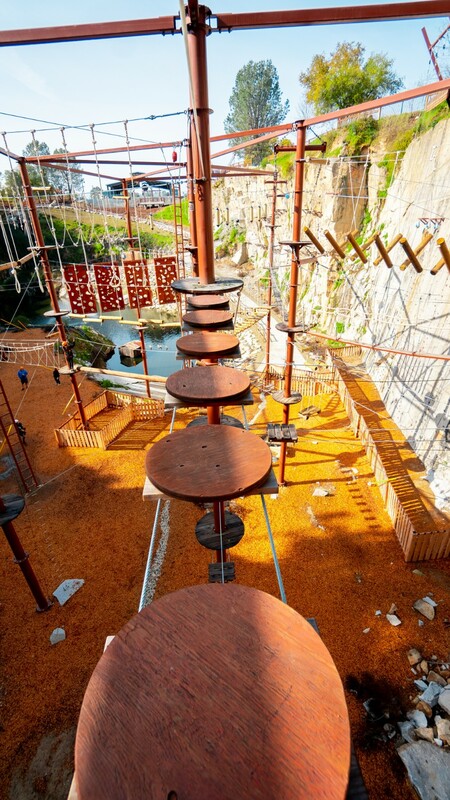 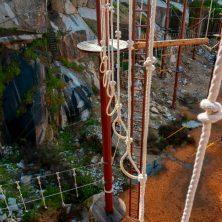 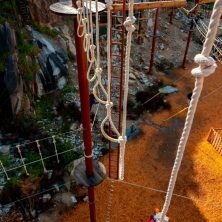 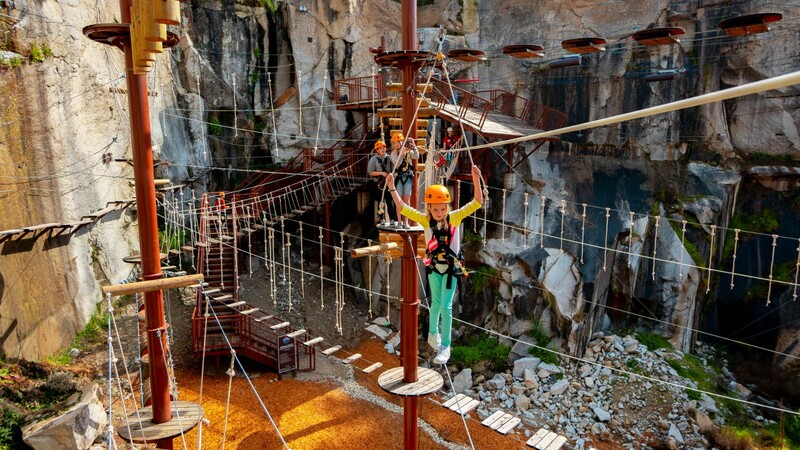 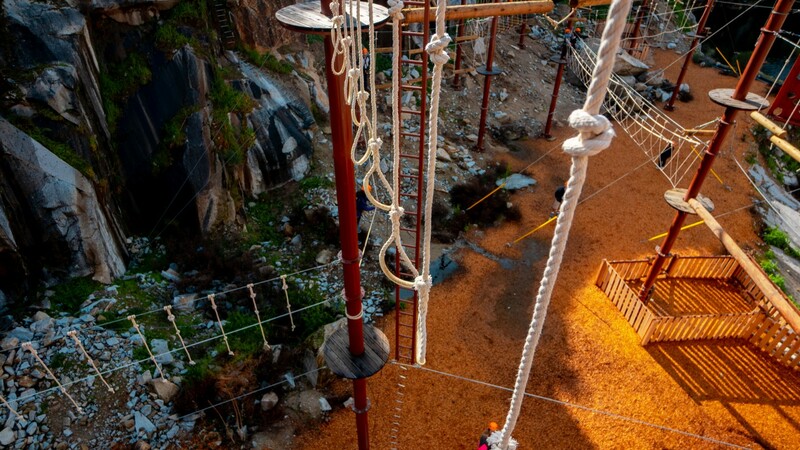 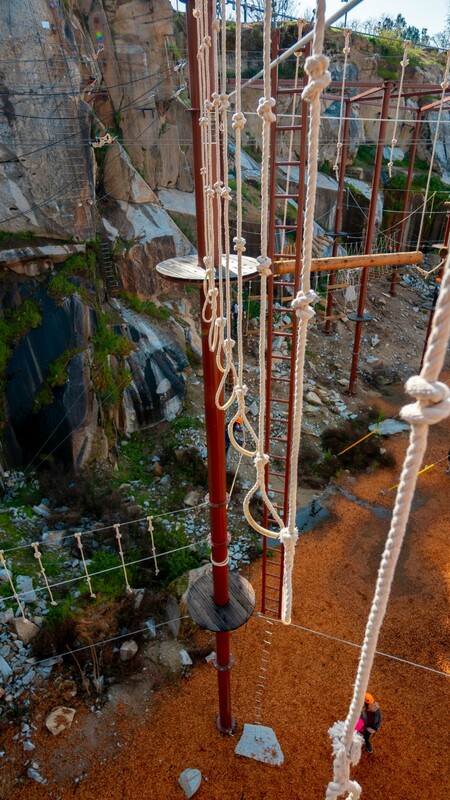 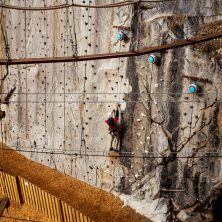 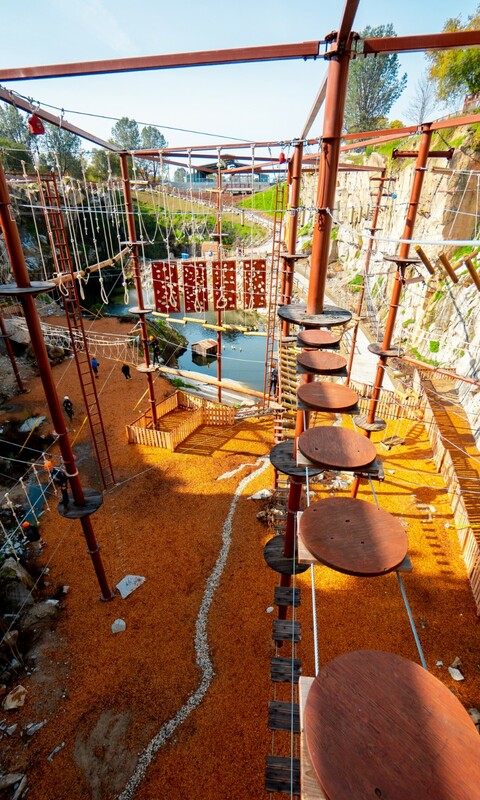 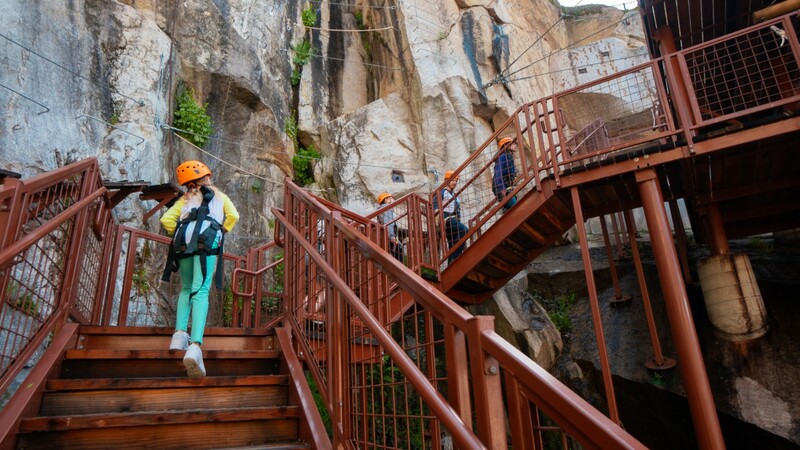 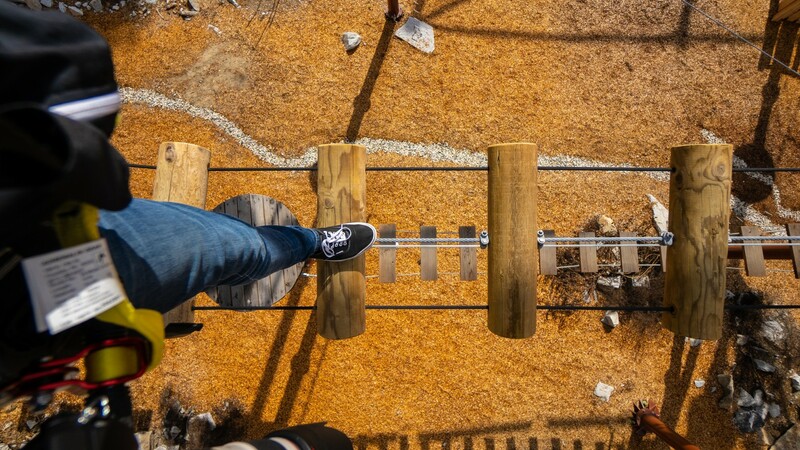 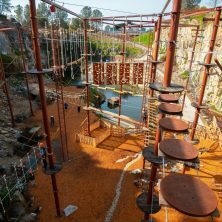 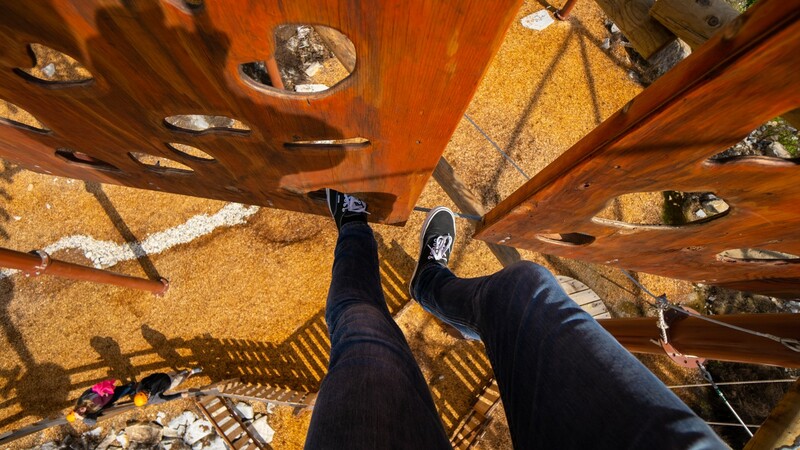 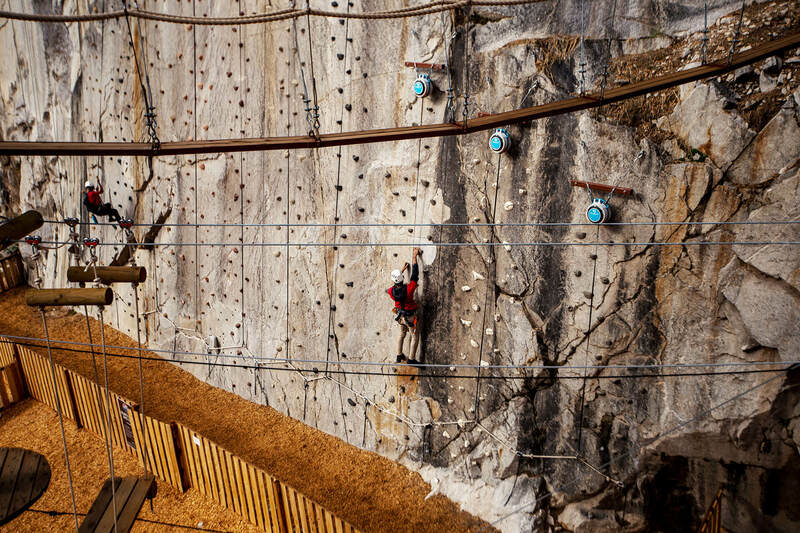 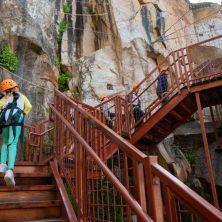 Pinnacle Pete’s Aerial Adventure includes more than 60 elements, ranging from easy to accomplish to more difficult. 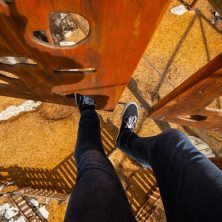 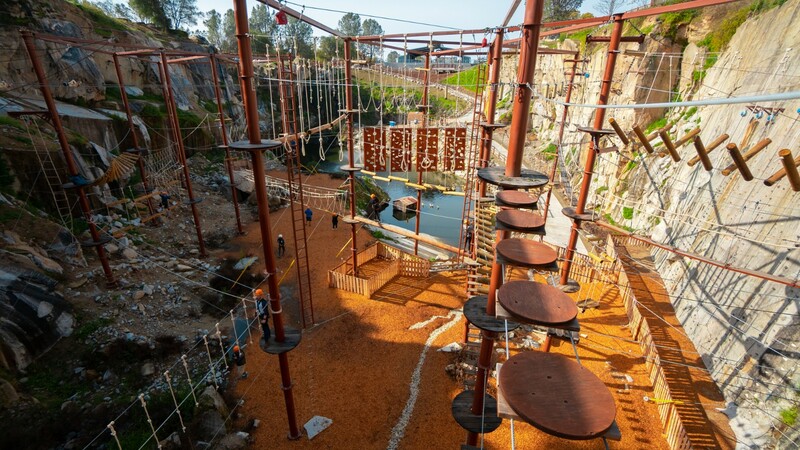 Choose your own adventure on this three-story high course then return time and time again to fully master each element.